King (A451811) is one stellar dog. 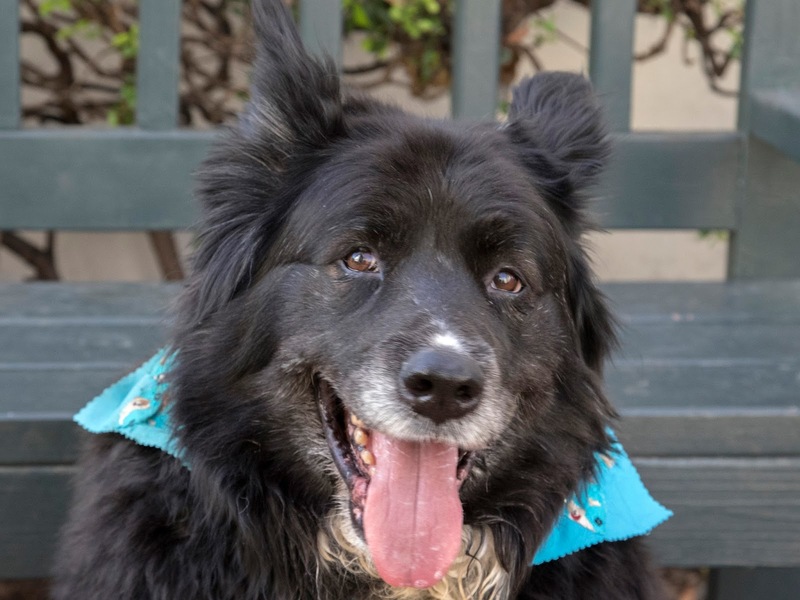 This 8-year-old Shepherd mix is an easy going, calm guy. He enjoys attention from everyone he meets. He walks well on leash and already knows training commands including "sit" and "shake." Plus, he got along great with both small and large dogs on a shelter field trip. King is looking for an owner who can help him lose weight under the guidance of a veterinarian. He came to Pasadena Humane via Redlands Animals Shelter where he had been waiting for a new home since October of last year. Let's hope he finds one real soon. The adoption fee for dogs is $130. All dogs are spayed or neutered, microchipped, and vaccinated before going to their new home. King qualifies for our Seniors for Seniors program, waiving his adoption fee for adopters age 60 and over. **Beginning March 22, the Pasadena Humane Society & SPCA is hosting a fee-waived "Sweet 16" adoption event to celebrate the 2018 NCAA March Madness Tournament. Learn more about adopting a pet or sponsoring a pet adoption at pasadenahumane.org/marchmadness. Source: Pasadena Humane Society, which serves Monrovia.